Designed by famed architect Frank Lloyd Wright, the Darwin Martin House was built between 1903 and 1905 in Buffalo, NY. The original complex consisted of 6 buildings and demonstrates Wright’s Prairie School style. 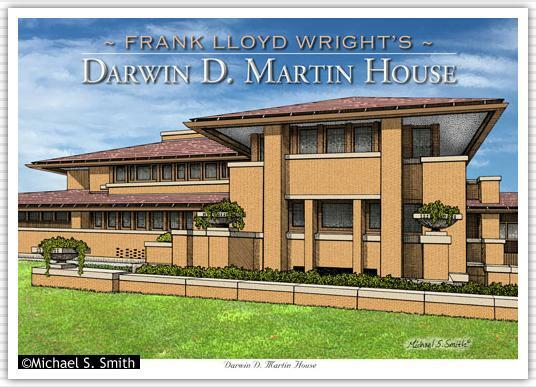 Placed on the National Register of Historic Places in 1975, it is considered among one of Wright’s greatest works.